Do you like cakey brownies? If you do, you’ll love this cakey coconut brownie recipe. These brownies are delicious, dairy-free, flourless, and very easy to make. Instead of flour, I use finely grated desiccated coconut and some tahini (or other nut butter). 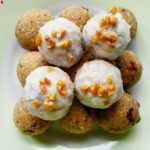 I also like adding flax meal but if you don’t want to use flax meal, substitute it by some more desiccated coconut. Also, I use dates instead of sugar and I love it that these brownies aren’t too sweet. I used an 18×18 cm (7×7 inch) tray for this recipe. It yields 16 small brownies. Preheat your oven to 180°C (350°F). Soak the dates in warm water for about half an hour or until they are soft enough to mash them with a fork. I like adding the coconut oil to the dates and keep mashing until I have a smooth paste. Whisk the eggs with the cocoa powder. Add the date paste and the tahini and mix again. Lastly, add the desiccated coconut, flax meal and baking soda, then mix everything thoroughly. 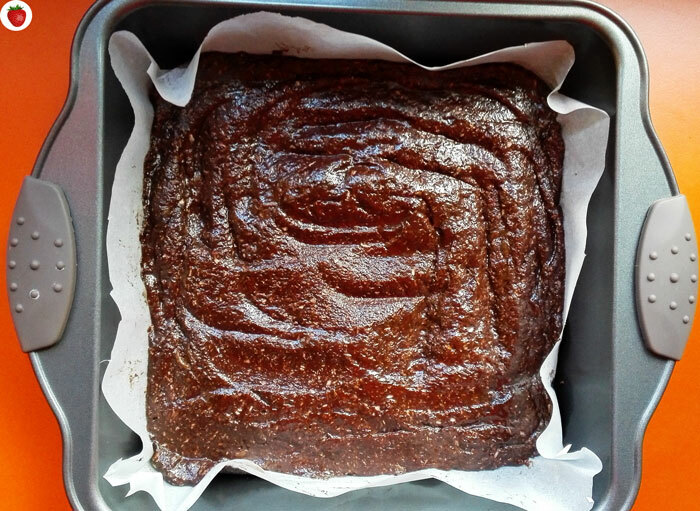 Grease your brownie pan or cover it with baking paper. Pour the mixture onto it and bake for 18-20 minutes. Check them with a toothpick. Let the brownie cake cool down, cut it and enjoy! 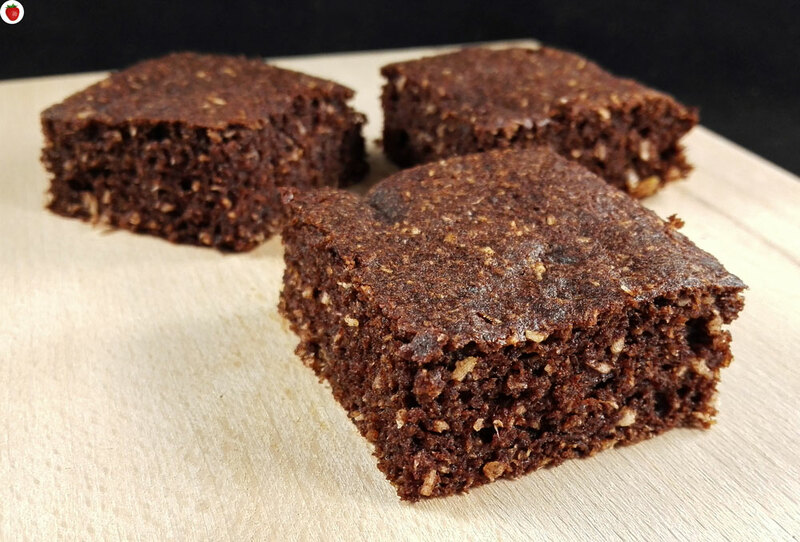 If you like the recipe, share it with your friends and if you try making these brownies, please let me know how they turned out for you! 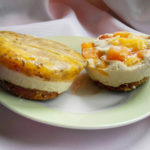 Don’t forget to follow me on Facebook and Twitter to know when a new recipe is up. ? Wow, these look so yummy! Do you think I could make them with oatmeal flour? Thank you so much! 🙂 Yes, oat flour will work too, but I’m not sure whether the texture will be the same. Wow! Looks so delicious Ellie! Love it! Oh this looks delicious and I have all the ingredients on hand! My daughter gets an upset tummy when she eats too much gluten so these are perfect for her. Totally making this weekend. I can’t wait to try! They look lovely! This recipe brings a whole new definition to eating good and healthy food. Thanks for sharing the recipe. 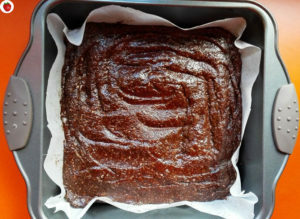 I love a chewy brownie – any idea how to adapt this a little to make for a slightly more sticky cake mix? 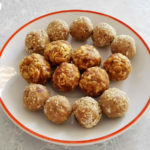 More dates and tahini? These brownies look so delicious, Ellie, will have to give this recipe a try. 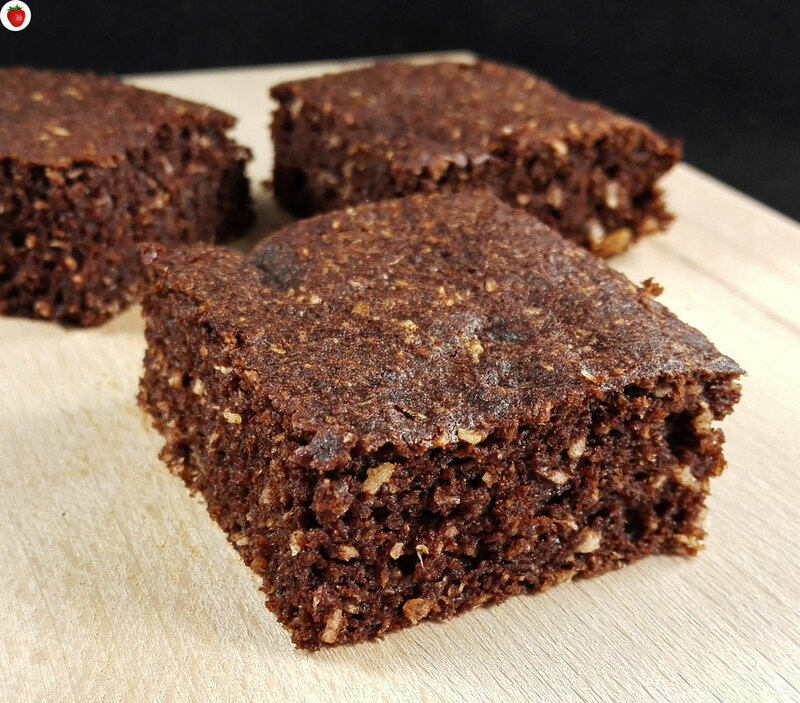 These cakey brownies look so good and healthy! Thank you for sharing! Gimme a FUDGY Brownie! Oh, the fudge! Copyright © 2018 MyHealthyDessert. All rights reserved.